We are excited to announce the new Redilight newsletter – your monthly guide to all things Redilight. By subscribing to the monthly Redilight newsletter you will get exclusive offers, product news and blog articles to ensure you are across the latest developments across our range of Skyfixtures. For existing customers, the Redilight newsletter will feature exciting product developments to upgrade or retrofit your existing Redilight Skyfixtures. 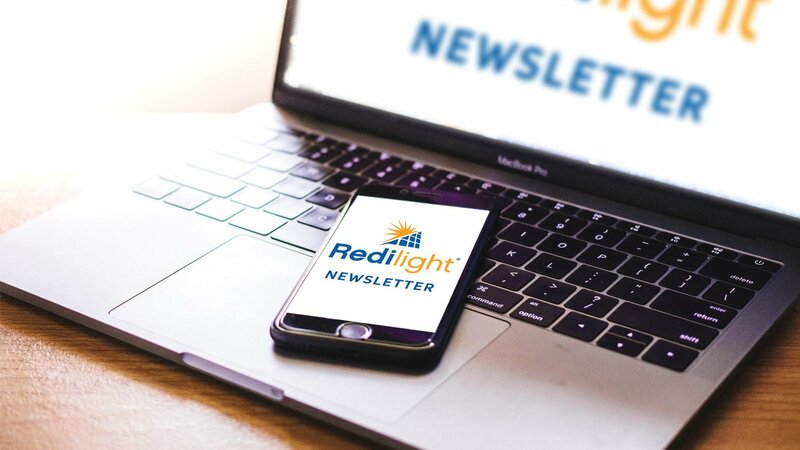 For distributors, the newsletter will keep you up-to-date on the benefits of Redilight – including helpful videos, new product announcements and innovations. Redilight Director, Joel Mulvenney, said the Redilight newsletter is the next step in the company’s growth following the success of the new look Redilight rebranding earlier this month. “As promised in our recently announced rebranding, Redilight is thrilled to be rolling out a series of new promotional and marketing strategies to engage our customers and distributors,” Mulvenney said. However, Mulvenney stressed that Redilight wants to make sure it isn’t bombarding its subscribers with unnecessary communications. “We understand that email inboxes are becoming increasingly clogged and we respect our customers and distributors too much to be one of those companies,” Mulvenney said. A new look Redilight website, online shopping portal and enhanced social media experience will also be rolled out in the coming months. Ready to subscribe to the new monthly Redilight newsletter? It’s as easy as filling out the form below. Next PostIntroducing the new look 'Redilight' – a smart LED Skylight Alternative!